The Jordan River is a unique river in Utah. It is only about 50 miles in length, connects Utah Lake to the Great Salt Lake, has 10 major tributaries from the Wasatch and Oquirrh mountains, and passes through the most populated region of the state. Have you ever paddled a canoe, kayak or paddleboard on the Jordan River? The Jordan River is within a 10-minute drive to well over half of the population of Utah. Yet even while it is very close, it remains hidden, undiscovered and misunderstood to many in our community. The Jordan River is a unique river in Utah. It is only about 50 miles in length, connects Utah Lake to the Great Salt Lake, has 10 major tributaries from the Wasatch and Oquirrh mountains, and passes through the most populated region of the state. The recently completed 45-mile Jordan River Parkway Trail is introducing many cyclists, walkers and joggers to the river. 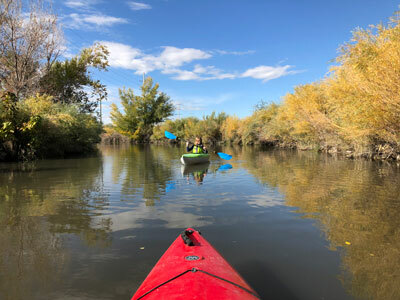 But even while the greater Wasatch region is considered an outdoor recreation hot spot, few people have discovered the full recreation opportunities of the Jordan River. The Jordan River is a different sort of outdoor recreation experience. Although there are some technically challenging sections, it is predominantly a scenic river experience rather than a high adventure whitewater experience. As I have paddled the river frequently over the past two decades, it never ceases to amaze me how peaceful and tranquil it can be, even in the very heart of a region with more than 2 million people. Because it is mostly a slow-moving river, the Jordan River is a good place to learn basic boating skills. But even experienced boaters will appreciate the scenic beauty, wildlife and tranquility of river. Because it is so close, I can bring my kayak with me to work in the morning and work in a half hour paddle to exercise, unwind and rejuvenate on the way home from a long day without having to go as much as a block out of my way. One of the biggest challenges to recreating on the Jordan River is the lack of boating access. There are really only four functional and maintained boat access points today — in North Salt Lake near Center Street, in Salt Lake City near 1700 South, in Taylorsville near 4800 South at the Little Cottonwood Creek confluence, and Willow Park at 300 North in Lehi. There are a few other popular undeveloped launch spots in Murray, West Valley, South Salt Lake and Salt Lake City, but these leave much to be desired. In 2016, Salt Lake County voters passed a popular Zoo, Arts & Parks Bond to improve parks throughout the county. One of the smaller projects included in that ballot initiative was to begin development the Jordan River Water Trail, which has been a planned project for almost two decades — just waiting for the right alignment of interest and funding. 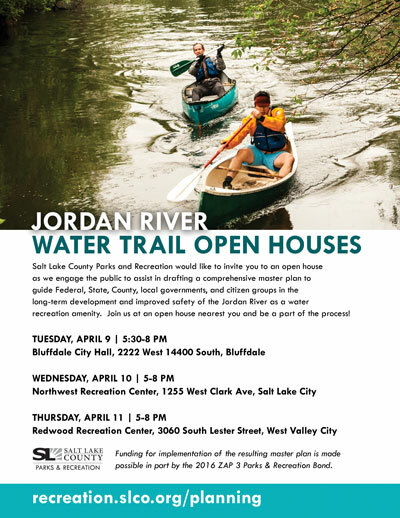 As one of the last projects being completed from the successful bond campaign, the Jordan River Water Trail planning and development work began in earnest last fall. With the support of additional funding from the Utah Division for Forestry Fire and State Lands, and participation from staff at the Jordan River Commission, Utah County, Davis County and several cities along the river to serve as advisors, the Jordan River Water Trail project aims to create a series of formal boat access points at strategic locations across the entire length of Jordan River. This initiative is intended to improve the current conditions along the river for recreational boaters, legitimize several user-created access points, and create new access points and portages around low head dams to make the river safer and more functional for boaters. If you are interested in the project but can’t make it to one of these open houses, please visit the project website https://slco.org/parks-recreation/planning/projects/Jordan-River-Water-Trail/ for more information. Comments and questions can also be directed to the project team by email at watertrail@slco.org. Although there are other big issues facing the river, such as water quality and urban impacts, this project aims to address important obstacles of overcoming access and safety. Following the planning efforts, the County has more than $2 million in bond funds to immediately begin implementation steps. And additional funding is being sought for areas outside of Salt Lake County as well. For boaters interested in more information about the Jordan River, or volunteering to assist with conservation, cleanup, recreation events and education activities, please reach out to get involved by contacting Soren Simonsen, Jordan River Commission Executive Director, sorensimonsen@utah.gov. 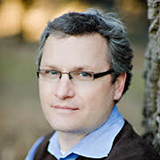 I am the Executive Director of the Jordan River Commission.